If Sal’s contest has come and gone can Phil’s be far behind. FREE Brisnet.com Ultimate Past Performances for contenders in points order. 10 bonus points awarded for the song that most aptly describes the horse you pick to win the 2019 Kentucky Derby. All entries must be received by Saturday May 4, 2019, 1:59:59 PM MDT. Limit of 3 entries per e-mail address, no restrictions on any employment or familial ties. Phil heard that Sal will be entering this year. Type – Holybull.ca 2019 Kentucky Derby Contest in Subject Line. Include your stage name, favourite city in the state of Apathy, song to describe your winning horse or how your horse wins Phil respects and will reward irony, T-Shirt size if you plan on finishing first (Phil has only one size fits many left, but go through the exercise anyway) and mailing address. 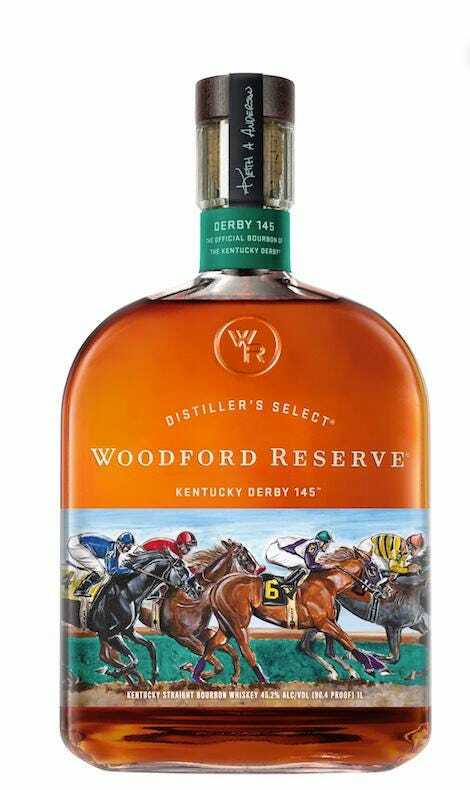 First Prize – Rough Magic, 1 – 1 Litre – 2019 Woodford Reserve Kentucky Derby 145, $50 gift certificate to a restaurant within 100 km of either your favourite city in the state of Apathy or a city of Phil’s selection, A one size fits many Holybull t-shirt and a Sur Prize. Second Prize – $50 gift certificate to a restaurant within 100km of either your favourite city in the state of Apathy or a city of Phil’s selection. Third Prize – $20 gift certificate to a restaurant within 100km of either your favourite city in the state of Apathy or a city of Phil’s selection. Contest open to all residents of the provinces of Alberta, British Columbia, Burgundy, Free State, Gauteng, Provence, Saskatchewan, Javakheti, Manitoba, Mpumalanga, Ontario, Quebec, Newfoundland, New Brunswick, Nova Scotia and Prince Edward Island, states of Alabama, Amusement, Alaska, Anticipation, Apathy, Arizona, Arkansas, Elation, California, Contentment, Colorado, Complacency, Connecticut, Despondence, Delaware, Paranoia, Florida, Empowerment, Hawaii, Idaho, Indiana, Euphoria, Iowa, Kansas, Kentucky, Exasperation, Louisiana, Lethargy, Maine, Maryland, Minnesota, Misery, Missouri, Montana, Nebraska, Nevada, North Carolina, Tranquility, New Jersey, Bewilderment, New Hampshire, Lethargy, New Mexico, Fear, New York, Emancipation, North Dakota, Ohio, Enlightenment, Oregon, Panic, Pennsylvania, Exhiliration, Rhode Island, Satisfaction, South Carolina, Serenity, South Dakota, Torpidity, Tennessee, Frustration, Texas, Entanglement, Utah, Vermont, Virginia, Washington, Bewilderment, West Virginia, Wisconsin, Wyoming, Oblivion, Southeastern (Dông Nam Bo) Region, territories of Northwest, Nunavut and Yukon, especially the campus city of Whitehorse, and all of Georgia. Contestants from other regions may apply for Phil’s Philal Bull.